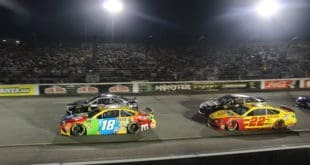 Kyle Busch took the checkered flag for the 200th time in a NASCAR national series race at Auto Club Speedway. Busch had the dominant car on the day, leading seven times for 134 of 200 laps. He won the first two stages before opening up a commanding lead on the final green-flag run to take the checkers. It’s Busch’s 53rd Cup win and he’s just 33 years old. 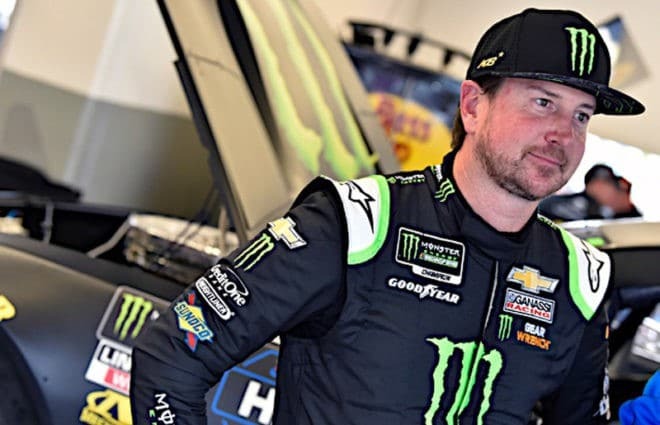 Meanwhile, racing this season in his younger brother’s shadow, Kurt Busch has quietly put together an impressive start to 2019. 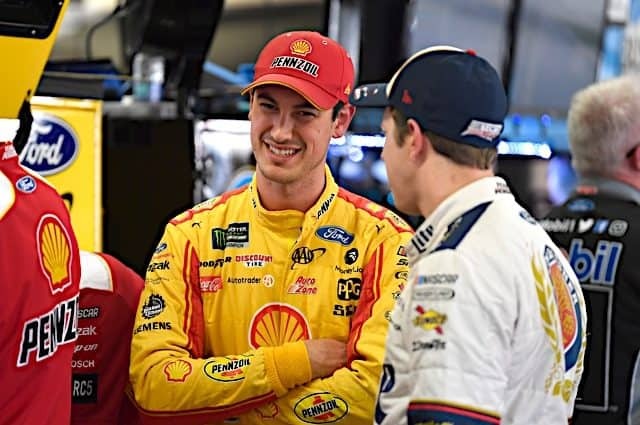 Only four drivers have an average finish above Busch’s 9.2, and they all drive for the two top teams in the garage: Joe Gibbs Racing and Team Penske. That 9.2 average includes a 25th-place run in the Daytona 500. The elder Busch has, without fanfare, been the best in the Chevrolet camp so far in 2019. Teammate Kyle Larson is ahead of Busch in points, but Busch’s two top fives and four top 10s top Larson’s pair of top 10s. 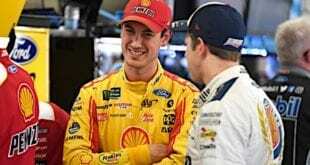 It’s hard to call him a title threat so early, especially with Chevrolet’s troubles, but could Kurt Busch be the one who inserts himself in the conversation the way Joey Logano did in 2018? Watch him. Do races need cautions? That’s an interesting question and one that’s fair to ask after this weekend’s race. The Fontana edition of the 2019 rules package was the same as what drivers ran at Las Vegas two weeks ago. But this race was probably the least engaging of the season so far, with a margin of victory over two seconds and a predictable outcome. Cautions for sure close up the field and allow drivers to make things happen that might not otherwise have been possible. Restarts are perhaps the least predictable part of an event. And there may be a bit of truth in that people watch for the crashes. Not all fans do, of course, but even so, it’s hard to deny the moment of “wow, what’s happening? !” as a car spins around. Will he hit someone else? Is he OK? The adrenaline picks up as those questions arise. More detail in a minute, but cautions from things like blown engines and catastrophic part failures are largely a thing of the past. Those added the restart element, often without the element of danger of a spin or crash. More than crash cautions, these have gone away and the lack of them may well be a factor in making the race overall less exciting. But do we need cautions? Not as much as we need authentic races, which is what we have had this season so far. NASCAR hasn’t been seeing debris nobody else does, and that does sometimes result in long green-flag runs that allow the field to spread out. That’s OK. Authenticity has to be allowed, and from there, a little unpredictability only adds to the action. Defending race winner Martin Truex Jr. struggled in qualifying, failing to make it past the first round. Despite starting 27th, he worked his way up to eighth by the end. What’s noticeably absent for Truex is playoff points. Over the last couple of seasons, especially his 2017 title run, Truex systematically rung up stage wins. So far this year, he doesn’t have a playoff point to his name. While he’s not running badly by any means, he’s not the main focus of a team anymore, and perhaps that’s showing. Pole-sitter Austin Dillon battled illness as well as his car on Sunday. After claiming the pole in a bizarre game of qualifying chicken Friday, he came down with a nasty virus and received IV fluids prior to the race. 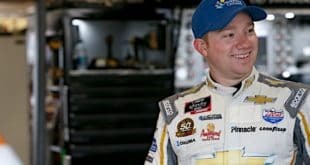 Xfinity race winner Cole Custer was on standby but in the end, stayed on the pit box as Dillon was able to make it to the finish in a respectable 10th. Defending series champion Joey Logano was the last man standing as a challenge to Kyle Busch on Sunday. While he had a slightly faster car at the end and was able to close on Busch on some laps, Busch had the clean air and traffic advantage and Logano wasn’t able to make a serious charge. His second-place run is his third top-five finish of the year, and he’s positioning himself to have the same kind of consistent year as he did last year. This time, he won’t be under the radar, though. All-time Auto Club Speedway win leader Jimmie Johnson started his weekend with a glimmer of hope, posting the best time in the lone Friday practice session and qualifying 11th. But once in the dirty air of the pack, he again didn’t have the speed to do anything at a track where he has six wins. It’s hard to call it Johnson’s issue as he’s not the only Hendrick Motorsports driver nor the only Chevrolet driver struggling to find speed. Time is no longer on his side to make headway on the all-time wins list, meaning Johnson perhaps has the most to lose. This week, the “what was that? !” came not during the tamest race of the year, but during qualifying. As the clock ticked away in the final round, the 12 drivers who had made the cut played a game of chicken. With the current rules package, the first car in a group has a disadvantage because of the draft in a short qualifying run. Nobody wanted to be that guy, so they waited and waited some more. Not one driver posted a time. Austin Dillon claimed the pole based on his second-round speed with fans booing in the stands. 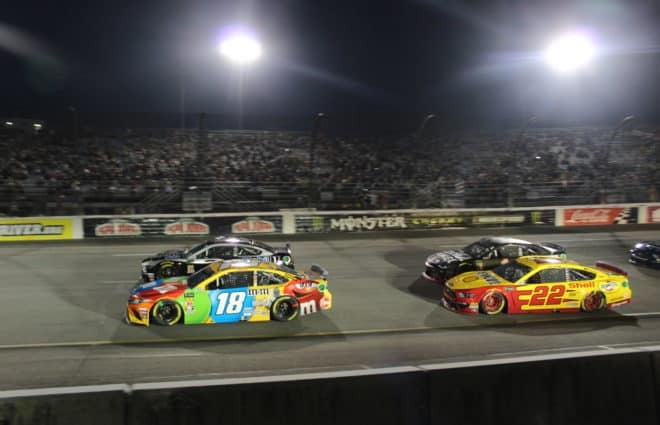 A week after a fight broke out on pit road after a driver took exception to having his momentum curtailed by a driver entering the track, NASCAR is faced with an increasing need to fix qualifying. There are a few options. The simplest and best would to simply go to the single-car runs that set the field with no issue for decades. The sanctioning body’s assertion that qualifying needs to be intriguing is off base. Qualifying needs to set the field for an intriguing race. 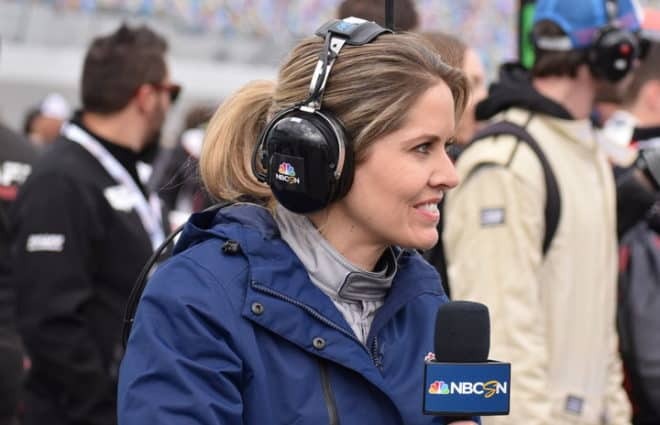 Other possibilities include single-car runs for the 12 drivers in the final only, or in penalizing drivers for not taking time by sending them to the back for the start. 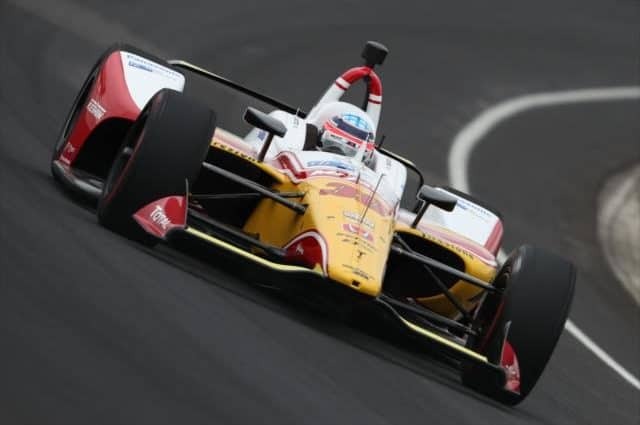 It’s a possibility that a change could come as soon as Texas, at least for the intermediate tracks where the full high-drag package is in play. Something has to give here. Does Kyle Busch’s 200th win mean anything? That’s a question to grapple with this week. The answer? A resounding maybe. There are a few ways to look at this accomplishment. Some will say it’s comparable to Richard Petty’s 200 Cup wins because of the rules and level of competition Petty faced in his heyday. Certainly, the competition now is as good as it’s ever been. However, others will say Busch’s wins were not at the Cup level, and are therefore different. That’s also true. In other sports, we only look at a player’s highest level of achievement. A baseball player can set every record in the book in the minors, but once he becomes a big-leaguer, that all becomes a footnote. Why should that be so different in NASCAR? Busch’s Cup numbers are impressive on their own and certainly Hall of Fame territory. However, he’s not yet the best of his era. He’s 30 wins and six titles behind Johnson in three fewer seasons. He’s also younger than Johnson and has a chance to eclipse at least the wins before he’s done. To some, that’s more meaningful than the wins in other series. And on the flip side, if you want to look at wins in other series, you have to compare Busch’s totals to drivers like Richie Evans, which is difficult because Modified records are split with the emphasis being on the most recent incarnation that’s now the Whelen Modified Tour. Evans’ time was before that, so his numbers are harder to pinpoint. He won hundreds of races before his untimely death. So what Busch’s 200 wins means has more to do with what it’s comparable to, and because there’s no fixed point of reference as his racing across series to the degree he does is a fairly recent thing. He doesn’t fit into a box, and creating one for him doesn’t work. How… come there’s no attrition anymore? In trying to level the playing field, NASCAR took away a lot of choice for teams. Having to build multiple sets of shocks and gears and other components is expensive and time-consuming, and smaller teams lack both monetary and personnel resources. But a consequence was that there is little to no risk of failures, and because of that, more predictability in races. More predictability is not a good thing. And neither is backing teams into a corner. If NASCAR wants to make meaningful changes, it’s time to open up more areas for teams to make the cars work for their drivers. Choice in gears and suspension pieces would still mean bodies and engines are sacred, but allow teams to find an advantage (and shoulder the risk that comes with it). The more teams can work, the less predictability is built into each race. Only good could come of it. Tags Austin Dillon Jimmie Johnson Joey Logano Kurt Busch Kyle Busch Martin Truex Jr.
As I have said before, a few legitimate cautions in a race (not including the stage breaks which are phony) make the race more interesting to watch. Doesn’t matter what causes them although wrecks do get the adrenaline pumping. BTW, it has been well documented that fake debris cautions disappeared once the stage racing and their associated breaks became the norm. Agree with that last question. Even if it doesn’t lead to more attrition, giving teams more variables to play with should result in less predictability. dang they allowed michael waltrip to go out to california. he and his brother do everything they can to remain relevant to the broadcast. 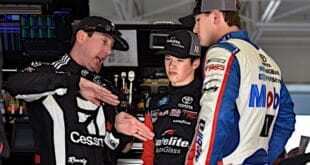 i’m sure dw peed his pants when his buddy ky busch won. i thought this new package they were making the cars run was supposed to help the racing product. to me it still seems ho hum the same. busch got the lead and took off. i don’t know i was kind of hoping his car would not pass post-race inspection so #200 would be taken away. not like we need another week of the 18 in the limelight.